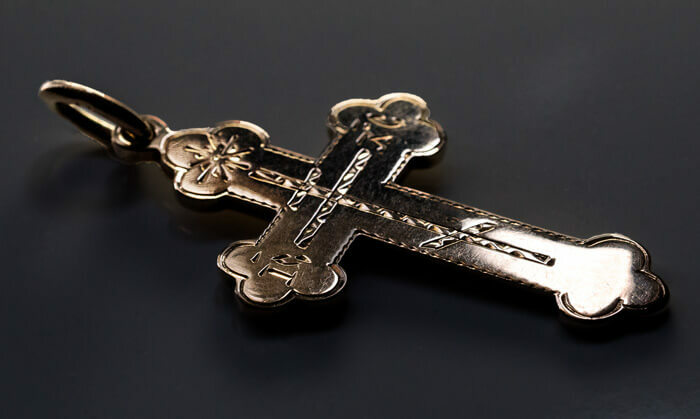 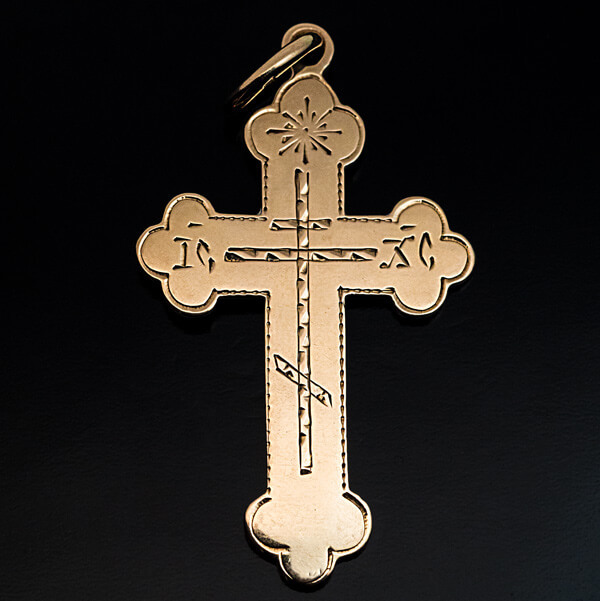 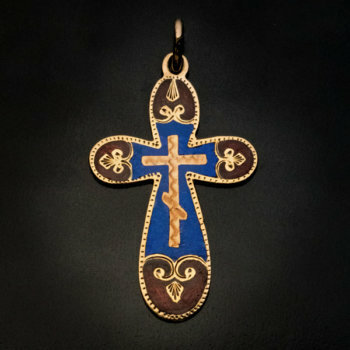 This hand-engraved heavy 14K rose gold cross pendant was made in St. Petersburg between 1899 and 1904 by Rudolf Weide, a prominent jeweler of the period. 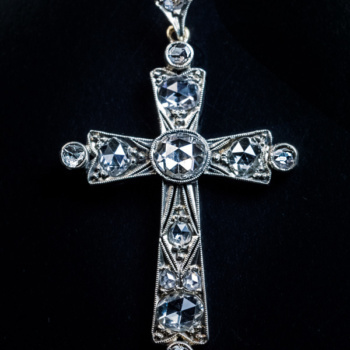 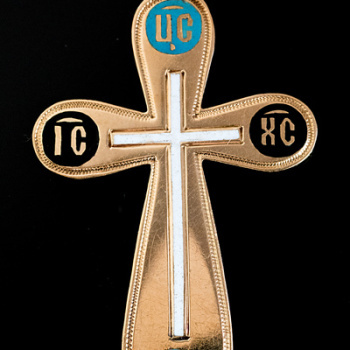 The front is engraved with the eight pointed Russian Orthodox cross and abbreviation” IC – XC ” which stands for Jesus Christ. 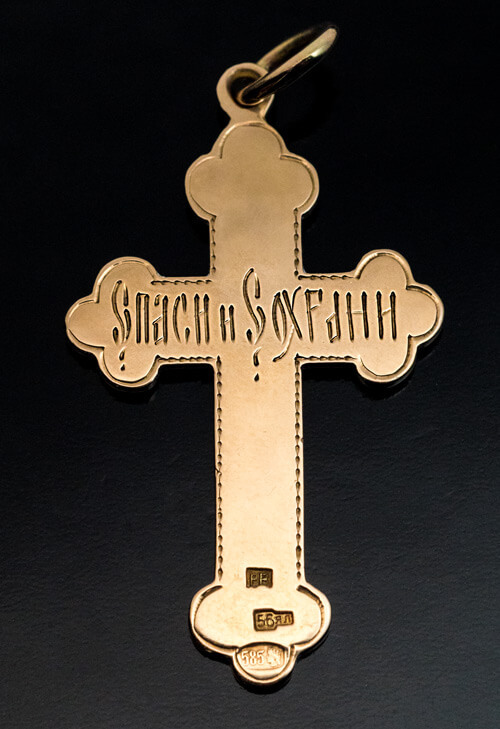 Engraved inscription in Old Slavonic script on the back reads “SAVE AND PROTECT”. 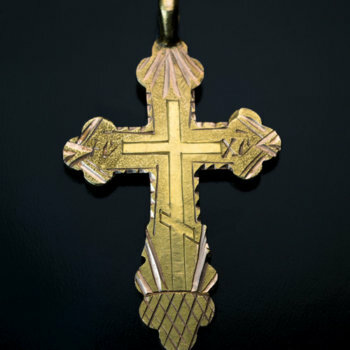 The cross is marked with maker’s initials ‘PB’ for Rudolf Weide, 56 zolotnik Imperial gold standard with initials ‘ЯЛ’ for St. Petersburg assay master Yakov Liapunov, and a later Latvian assay mark from the 1920s for 585 gold standard.